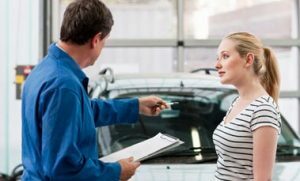 A logbook service is a comprehensive service that involves examining and servicing your vehicle in accordance with the manufacturer’s specification. A logbook contains complete information on the service requirements of your vehicle. It helps auto mechanics to better understand what needs attention at specific service interval. If your car is under warranty, you should get these car services to keep the warranty valid. As an authorised workshop, Bob Watson Service Centre provides logbook service for all makes and models as per manufacturer’s specific requirements. Besides servicing your vehicle, we will also get your logbook stamped and help to maintain your new car warranty. We know that different manufacturers have different requirements when it comes to logbook servicing. That’s why we employ only certified mechanics who have a deep understanding of the service requirements of world’s leading vehicle manufacturers. Here are some common checks and measures that we carry out during logbook servicing. Why Choose Us For Your Logbook Service? Bob Watson Service Centre has qualified mechanics with the expertise to work on your vehicle, ensuring that your car warranty will not be void. We will provide you with a full report on all our findings and the repairs carried out on your vehicle. We take special care while servicing your vehicle and issue stamps of approval for logbooks. We only use high quality or OEM-equivalent parts to ensure that we always comply with the guidelines of your vehicle’s manufacturer. Whether you have any special queries or need more information on our logbook service, we encourage you to call 03 9882 2451 and speak to one of our friendly staff members at Bob Watson Service Centre. We are more than happy to assist you with all your queries. THE BRANDS WE TRUST AND BELIEVE IN. © Copyright 2019 | bobwatson | All Right Reserved.